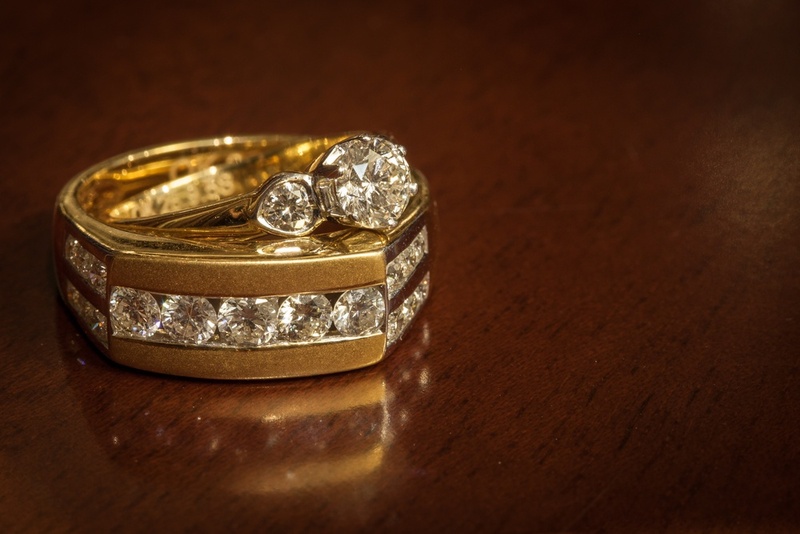 Men's Diamond Rings: Diamonds are a Groom's Best Friend! Men’s Diamond Rings: Diamonds are a Groom’s Best Friend! Just because diamonds tend to be marketed toward women doesn’t mean you have to stick to a flat, simple band for your wedding! There are many gorgeous designs and diamond styles at the disposal of any man who wants a ring that will appeal to their personality, while also remaining sophisticated. Diamonds may be in for men’s wedding rings, but that doesn’t mean you need to make it flashy. Keep things subtle for maximum effect. A good idea is for the diamond to be less than a carat. If you want to have more than one diamond on your band, choose tiny diamonds all around it but keep them subdued by ensuring that they are fitted inside the band so that the result is a smooth finish. Your ring will still be noticeable but not showy. Instead of a transparent diamond, colourful gemstones are a big trend in women’s jewelry and they seem to be making their mark in men’s jewelry, too! 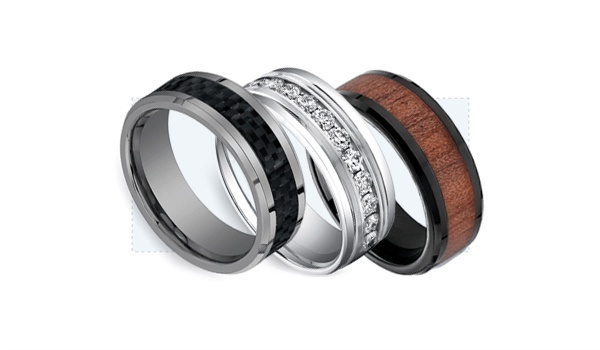 If you have a titanium or tungsten ring that is masculine, bring in a small black diamond on the band to create a bit of shine while still keeping it edgy. Another idea is to use lighter colours, such as yellow. A burst of colour is especially a good idea if you want to match your bride’s ring a little. If you want a bit of visual appeal on your ring without the dazzle of a diamond, give it an interesting spin by choosing a rough or raw diamond. These are not cut to perfection like the diamonds we’re used to seeing and they provide character in a wedding band. They’re also a great choice if you want to stay on top of the trends while having a unique piece of jewelry for your wedding. Incorporating diamonds into your wedding ring design is the perfect opportunity for you to update conventions. An example is to have an off-centre diamond instead of a central one, or to change the eternity ring band design a little with diamonds that frame the ring’s metallic centre. That way, instead of having diamonds all the way around the band as in the case of the eternity ring design, you’ll only have part of your band displaying diamonds and the rest will be left bare. This is minimal but really effective. A setting comprising of interesting materials, such as rosewood or bamboo, can be the perfect accompaniment for a trickle of diamonds. This is becoming highly trendy in men’s diamond rings and the contrast between glamour and down-to-earth ruggedness is alluring. You can change the actual shape and metal of your wedding ring band to add flair. Instead of the traditional circular shape, the square band is becoming quite trendy. It provides you with a more structured shape, maintaining an interesting yet masculine touch. A tiny diamond or two added to this intriguing shape will create great contrast. Interesting metals, such as rose gold, are also fashionable for wedding bands and they’re a great alternative to silver or gold to keep men’s diamond rings fresh. Mixed metals and accents are also commonly found in antique men’s wedding rings, for grooms who’d like a vintage band with a little bling. Diamonds are forever and they signify your love in a timeless and stylish way. Why let your bride have all the fun when you can enjoy diamonds, too? Follow the above trends to keep your diamond ring effortlessly eye-catching without being too busy.